Roshan the Immortal has smashed his way into a labyrinth beneath his lair, driven to frenzy by the scent of the world’s rarest cheese. 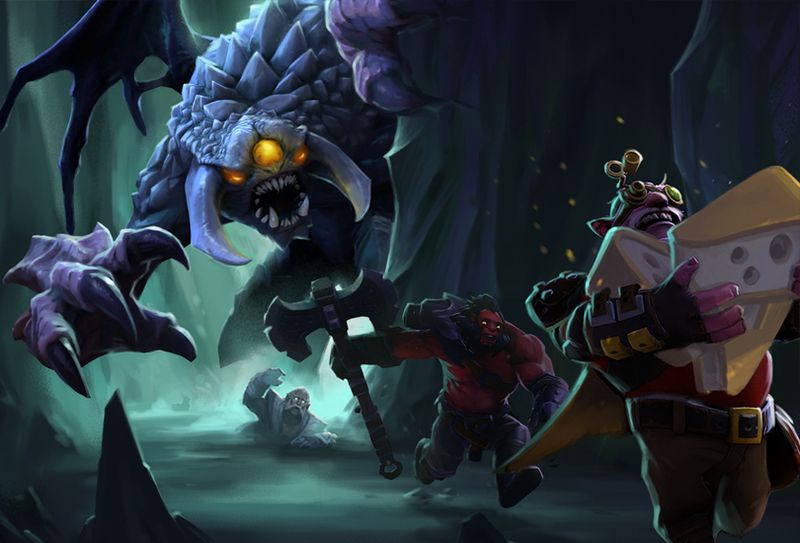 In today’s update, all Battle Pass owners are invited to follow his path and descend into the Underhollow, where a proving ground of teamwork and battle tactics awaits—along with a supply of Battle Points for those bold enough to seize them. Party up with two friends or queue-met allies to navigate your way through this maze of monstrous hordes and vile traps. Work together to outwit and outlast the seven other teams each fighting to be the last group standing. Each week you’ll have new chances to earn Battle Points by winning a clash outright as the last team standing, killing any opponents during battle, or unearthing rare and valuable cheeses—such as the coveted Roshefort wheel. But remember: Roshan is on his own quest, and his frenzy is causing the Underhollow to collapse around him. You’ll need to step quickly and choose your path wisely to have any hopes of escaping alive.